Farhan Akhtar’s new look reminds us of his ZNMD days! 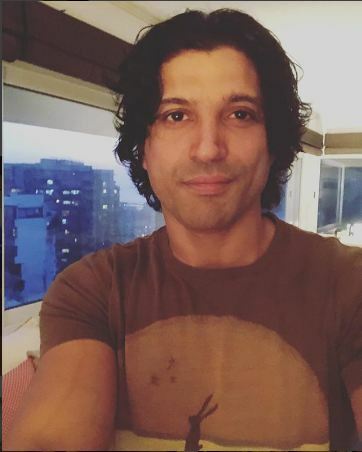 Bollywood’s multi-talented star Farhan Akhtar shared a selfie of himself showcasing his new clean-shaven look. The actor, however, reminds us of his Zindagi Na Milegi Dobara days, when Imran Qureshi stole our hearts with his cute antics. Farhan Akhtar earlier in the day took to Instagram to share a picture of himself after he shaved his much longer beard after a long time. The actor said, “#breakthebeard #summerliving #keepitclean”. Welcoming the summer season the actor underwent a transformation in his look as he shaved his bearded face. The actor now resembles to his much loved on-screen character Imran Qureshi from Zoya Akhtar’s Zindagi Na Milegi Dobara. Farhan Akhtar received immense love and appreciation for his role in the film, owing to his fun character and careless attitude. The guy who doesn’t take things seriously and is basically the life of the party with every friends’ group ever, making the character popular amongst not just the youth but audience of all age groups. The actor who was busy touring the nation for his live concerts was seen sporting a long beard for the longest time now and the new look has come in like a refreshing change. On the work front, the actor is currently busy with his production house Excel Entertainment for an interesting line up this year. Farhan is currently gearing up for his films ‘Gully Boy’ and ‘Gold’.